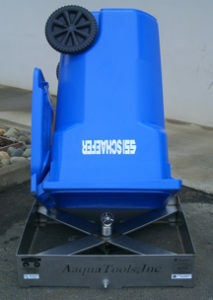 When attached to an optimally matched high pressure washer, CartBlaster II Container Cleaning System from AaquaTools is designed to clean the interior surface of trash containers. The cleaning efficiency is achieved thanks to stream jets at a low flow rate but high pressure, thus providing high impact washing. 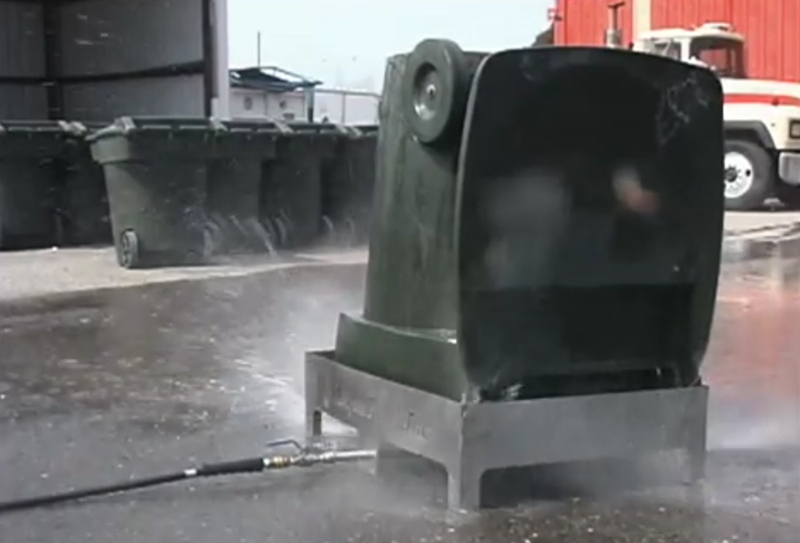 Stream nozzles rotate around a turret to provide complete orbital cleaning coverage of all interior tank surfaces. It is possible to use different chemical cleaning solutions; in this case we recommend that you contact our technical staff for specific information. 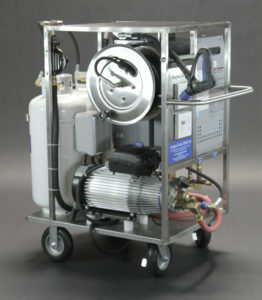 By incorporating our stainless steel platform, Cart’s can be cleaned quickly and safely for just pennies per wash.